Preheat oven to 200°C (400°F). Place the pastry on a baking tray lined with non-stick baking paper. Lightly prick the pastry with a fork and, using a knife, gently score a 2.5cm border around the edge. Top the pastry with the brie and artichokes and sprinkle with salt and pepper. Lightly brush the edges with the egg and bake for 20 minutes or until golden and cooked through. 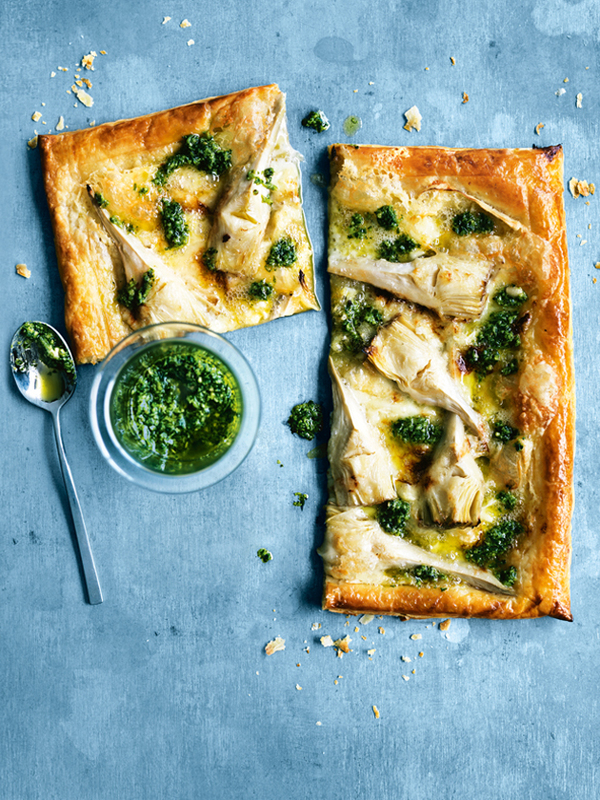 Drizzle with the pesto to serve. Serves 4.